A man rarely thinks about his prostate gland until it starts to cause problems. And, it’s a sad fact that, for many men, it will cause problems, especially after men turn 50. Prostate problems like prostatitis or benign prostate hyperplasia (or BPH) can create several different types of symptoms. But, there are traditional and natural ways to relieve those symptoms without resorting to prescription drugs. The first sign of prostate trouble is often a urinary infection, which can cause you to get up multiple times in the night to urinate, which interferes with healthy sleep patterns. Prostate problems can also play havoc with your love life, with erectile dysfunction a common result. More serious conditions like prostate cancer could lead to surgery. Often, the most immediate concern of men with prostate problems is coping with the chronic pelvic pain that comes with it. Prostate-related pain can radiate throughout the entire pelvic area, resulting in intense discomfort and fatigue. One alternative treatment that has shown marked improvement in the daily lives of men with prostate problems is acupuncture. A team of Chinese researchers recently explored the effect of acupuncture on chronic pelvic pain syndrome (CPPS). 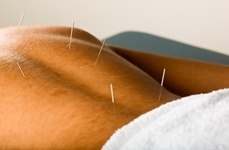 They treated 47 patients who had CPPS with electroacupuncture. The researchers then graded the severity of symptoms in the patients using a standard measuring tool called the “Chronic Prostatitis Symptom Index” (CPSI). To read more, visit doctorhealthpress.com.